Tag Archive | "organic business"
One of our micro businesses is raising trout. What fun1 Last week we stocked the pond for the season. 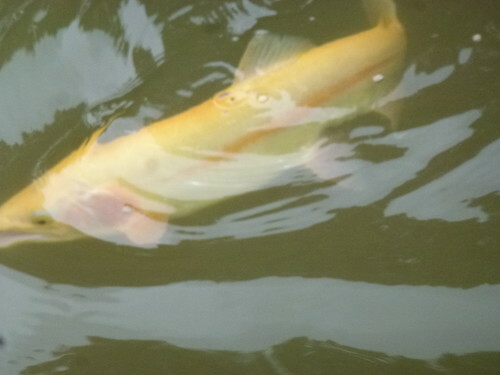 One of the golden trout rising on our pond. 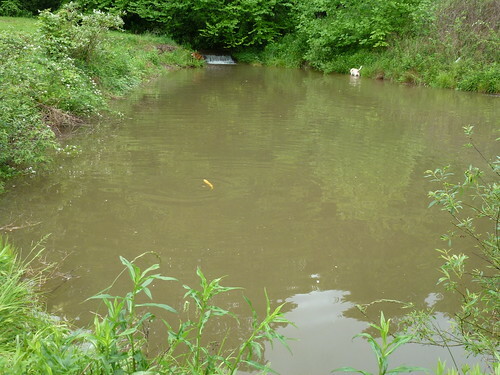 Our farm manager and his son drove to Rural Retreat Virgina and the Cedar Creek Fish Hatchery. They brought back the fish in a large aerated tank. We dipped them out and eased them into the pond. 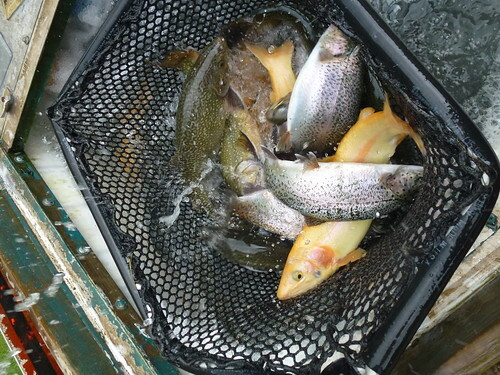 We raise rainbow and brook trout for the market, but add in a few golden trout for decoration. Normally it takes a day or two for the fish to become active and fed, but the golden trout began jumping and eating right away. That’s a good sign that these trout will do well. I do not expect that this to ever be a big business. The reasons for having this small business have big implications that might help us all live better. That’s why I would like to share these ideas with you. First, this business is fun. Merri and I like feeding the fish, watching them jump in the pond. Once in awhile I drag our my fly rod, get the smoker ready or Merri gets the Dutch oven warmed up and we have a trout feast. The business helps us meet like-minded souls. 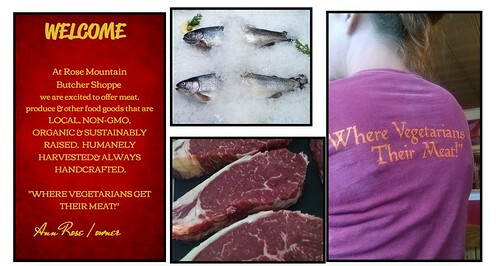 We sell our trout at a local butcher shop that’s like a cooperative and supports about 40 local farms. Most of the farmers selling through the shop are interested in non-gmo, organic, sustainably raised, humanely harvested food. We have that common interest so we find that many people we meet really interesting. Home page of Rose Mountain Butcher Shop. This is a Pruppie type business. Pruppies like businesses that take advantage of modern technology and profit under existing circumstances, but would also be useful if society and the economy, as we know it, falls apart. In this case I have several hundred pounds of fresh, healthy protein swimming around in our front yard. Little streams of income lead to a lot. Having a number of small businesses, that are all fun, can create an income stream that helps improve our lifestyle. At the least , it turns the activities we choose to have in life from after tax events to tax deductible pleasures. The sum of the parts can outweigh the whole. Our small businesses enhance one another. Writing about life on the farm can attract readers who stay at the cabins we offer on AIRBNB. 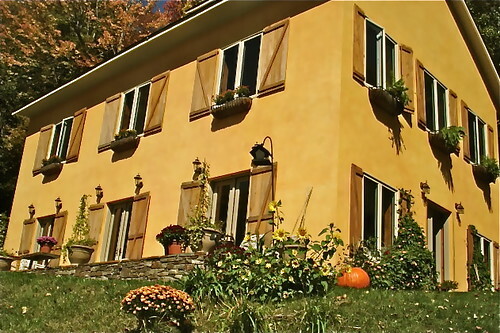 The trout pond helps guests enjoy their stay more (and they sometimes buy a big trout). The trout business introduces me to people who may be interested in our organic oranges or ginseng. Those who are interested in organic clean food are likely to buy organic BioWash and Purely Green to improve their nutrition. Each small business we have helps make our other small businesses better. All of these micro businesses give us good experiences so we have something realistic to write about. This connection between our small businesses uses a formula I call focus refinement, where the sale and successful delivery of one product leads to the sale of another, totally different, but somehow related product or service. There is always something we do not know. Merri and I try many things. We have trout in the pond and ginseng growing in numerous patches around. We do not expect these businesses to become substantial, but keep our eyes open and our senses glued to what’s going on. Our goal in business is to always be spending our greatest effort on the areas of business that are currently trending. The businesses come naturally. We do not try to push water uphill. Both the ginseng and trout thrive at our farm because natural conditions support them here. We don’t have to do much to support these businesses. They sprang naturally from our desires and flow easily because trout and ginseng grow well here naturally. We have no plans to expand these micro businesses, but do watch for circumstances that would suggest it would be easy, natural and enjoyable to expand anyone of these businesses we have. This is what happened with our publishing and seminar business in Ecuador. In the 1980s and early 1990s our publishing seminar business was all about printed matter and international business. When we decided (for lifestyle reasons) to move to a farm where there was no close printer nor mailing center that met our needs, we shifted to Internet only business and took a holiday in Ecuador. We saw opportunity in tremendous Ecuador real estate values. We tried just a little tour. That worked well and we expanded. Within a couple of years we had the largest Ecuador real estate tour business going. When increased competition changed what we had to do in business and more grandchildren (in America and England) changed what we do in life, we moved on. A micro business, we already had in Florida, started to expand on its own accord so so it was an easy shift. 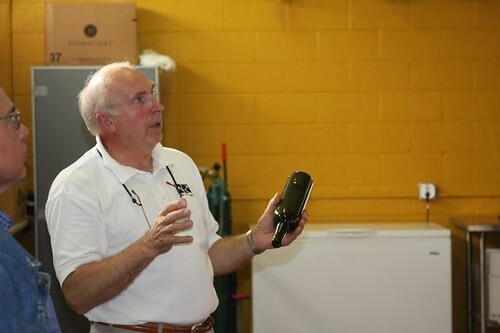 Over nearly 50 years, our business has changed again and again, but the change has been positive because we follow the directions of our purpose and are continually trying new things. All research ultimately is based on trial and error. When we try many things, a lot of them won’t work well. This is why we like to start small. When we were in Ecuador our advice was always, visit first, rent second and buy third only after you have a feeling for what’s going on. This is good advice in all business and in all of life. Keep doing new interesting things. Don’t worry if they don’t work out. Enjoy the process and watch for the activities that seem to unfold easily, enjoyable and naturally. The easy expansions will be the ones that bring the greatest fulfillment and profit. This phrase can help you grow richer, feel better and be healthier… beginning right now. Here I am working at home. “Go try things”… so you gain the benefits of earning globally from home. Perhaps the importance of what should be shared began in Hong Kong over 50 years ago, may 1968. A warm South China Sea fog swept up the mid levels like a spider’s web in fast air… then hung like a moist blanket over the thin ribbon of asphalt that snaked the ridge line through the jungle ahead. Low city rumbles blunted the green tropical freshness and fought nature’s cacophony of dawn. Bowen Road runs flat as a pancake through the mid-levels of Hong Kong. I lived there for several years decades ago and took early morning runs most days. Arriving shortly after my 21st birthday, my task was to build a sales team that sold American mutual funds to the Hong Kong Chinese. That turned out to be a bad idea. The Hong Kong market was booming and the US stock market dead. Yet trying this, led me into the business of writing about how Americans could invest in Hong Kong. Many of my readers made fortunes and for me, a career was born. A decade later after a move to London… distortions were spotted in the cost of Manx corporations. This led me shortly to the Isle of Man… overlooking Douglas Bay… a brisk ocean air off the harbor carried mournful seagull songs into our room at the Palace Hotel. I was looking for cheap corporations but found a real estate treasure instead. 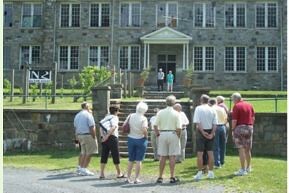 Years of real estate tours helped readers start businesses there and they picked up unimaginable profits… because we tried new things. However Britain’s gray winters soon drove me to the sun. I found myself watching sun rays sparkle on the emerald prisms of cool, spring fed pools. They reflected and danced, rainbows that glimmered on towering mahogany, banana, stately palm. Green vistas shimmered, easy paced in the afternoon sun and sweet, tropical perfumes floated in the breeze. Merri, and I were sitting on a huge veranda, overlooking a vast expanse of lush, green, countryside watching our kids joyfully ride their horses up the mountains in the Dominican Republic. A tropical breeze flowed over the porch cooling the sunny afternoon. My portable laptop computer sat before me. Working, I had dozed off, lulled by katydid songs, the soft breeze and my lost thoughts. That was work and the sudden realization of how wonderful that work was shocked me into understanding that having an international business is the best way to security, wealth, freedom and fulfillment in life. That realization was the foundation of our publishing business that helped readers learn how to have a micro business by trying new things. Our business has evolved over 50 years from Hong Kong to London to Europe to the Isle of Man to the Dominican Republic to Florida to North Carolina to Ecuador. 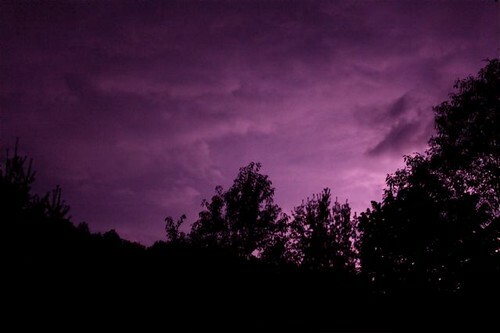 Each time because we were trying things of interest and fascination to us. Not once did the business turn out how we expected… but there was some success… happy customers…. good deeds…. great service… profit… fulfillment and adventure all originating from just trying some things. Our publications help readers improve their lives, gain greater independence, increase financial safety and dramatically gain more freedom to lead the type of life they desire… by helping them “go try things”. What can be more satisfying then that? Gaining fulfillment and earning anywhere do not have to stop with age either. Retirement age is a myth! You can earn anywhere at any age. An article entitled “THEY WON’T QUIT” sums up the vast importance of trying and the benefits you can gain when you “go try things”. The article says: Experts say Baby Boomers are starting to work past conventional retirement age, a trend fueled by an uncertain economy, improved health in older life and an understanding that staying engaged leads to a better sense of well-being. Hitting 65 and “getting the gold watch” is not on the must-do list anymore for many people, says Jacquelyn James, research director at the Sloan Center on Aging and Work at Boston College. “Their emphasis isn’t just to keep working but to do things that add life to years and not years to life. People who retire at age 60, can easily spend 35 years in retirement. That would be tedious. Job satisfaction grows and stress levels drop with age, so why not earn doing something you love in the golden years. There isn’t a script for 65 anymore. We recommend the same action for those in their 50s 60s and beyond as for those in their 20s: Go try things. I would like to help you make your life better with a business that can earn anywhere and have expanded this focus in our self publishing and business course. You can learn how to gain “earning flexibility” so you can earn… mobile or not… full or part time… young or old. We have many boomers take our micro business course. Other participants are in their 20s and 30s and want to get started while avoiding the rat race. Others in their 40s and 50s are looking for ways out of the rat race. Technology and economically speaking, you have a a perfect time now to have your own micro business. Communications and computers do most of the work that previously required labor and staff. Outsourcing and virtual offices, plus internet marketing mean a one man (or woman or couple) show can accomplish incredible things. The lessons in our course are highly practical and usable because they are a reflection of what Merri and I are doing… now. You won’t hear any ivory tower theory…. just the realities of business as we see them in the marketplace today… and how we respond to these conditions. Our lessons focus on how to use modern technology to start global micro businesses… that can create valuable extra income with minimal investments of time and capital. You learn how to start small and build with stepping stones and a harmonious focus… how to build a successful at home business via the internet using several profit generating phrases at Google. You gain the secrets of how you can use words to create your own global income as well at our seminar. The course shares how to use the first four of “Seven Ps” (Person, Problem and Promise, Product) to zero in on key word phrases. Then you learn how to use the Fifth P Promise to develop new customers. The Sixth P is the Prospecting Path and Seventh P is the Presentation to create income. Then you gain all the facts on how to try the seven Ps. “Gary , I have been working on my website, healthy-holistic-living.com site and I figure it is time for another update. It is really hard to believe it, but my site just keeps growing and growing and I am now averaging 2000 visitors per day! “What I find to be most amazing is that in just a few short months my site is #1 out of over a million sites and sometimes even millions of sites! As you always say the internet is the ‘Great Equalizer’ anybody given the right tools can compete on the internet.“Below are some of my search results. I only listed GOOGLE and YAHOO but you can find similar results on both MSN and ASK.com. You will learn how to use the same system to expand (or start) your publishing business globally! Small publishers gain during economic disaster. Publishing can do well in good times and bad. Our sales doubled during the last recession. Our list of readers increased over 100%. This is how good, value oriented business grow by the way. They should increase steadily in good times. They do not get caught overextending in euphoria. Then during bad times they are in a position to do really well! Since the economy picked up our business growth has slowed but business is still growing. This is how good, value oriented business grow by the way. Knowing the micro business philosophies we follow can help you invest better and can help you create an internet success if you desire. The Western economy has changed… probably forever. The old ways are gone and those who held jobs… or still have work in the private sector have lost the most. We are in an era of global structural change… in economics… in society and in the way we work because technology brings us low cost administration, low cost access to data, low cost communication, and low cost travel, plus the opening of markets beyond logic that rely more on passion and experience than on efficiency and cost. There is such an abundance of opportunity that Merri and I have created an entire system to help you have your own publishing business. Began working at home. Build up a lost of tens of thousands of buyers. Make a little extra income or made millions, but even when busy employ only a few people to help. Thousands have profited from this course which we updated in its fifth edition. In just a week, you can be well on your way to income and freedom to live wherever you choose! The course “Self Fulfilled How to be a Publisher” shows you how to take advantage of income earning secrets. Secret #1: Look for ways to gain 1,000% returns in business. The wealthiest families in the world today come from global businesses. Learn how margins can be so incredible that few would believe them. Learn how to use stories to make huge shifts in the value of products. Take for example our friend Earl who is a dog trainer. On a trip to Ecuador clay whistles in the market place were for sale at .35 cents each. By calling them dog whistles Earl was able to sell them at $9.95, a whopping 2,700% mark up! Secret #2: Create and market your product everywhere using niche marketing. There are 11 steps to create the perfect product. You learn them with International Business Made EZ. Understand how to review ideas, test focus, aim at markets. Learn where and how to get your data and get others to provide your marketing material for you almost FREE. You’ll learn how to turn advertising dollars into a fortune. You’ll learn how to create your own ads and when to use the internet… search engines… pay per click… classifieds, space ads, direct mail or word of mouth… even flea markets and roadside stands in some cases. See how to build a PR list and social business network on the World Wide Web to gain thousands of dollars in free publicity. I even share my most secret results on my marketing so you will know why sometimes you sell more units of a product at $49 instead of $29. Learn how one couple used ads about retirement to supplement their retirement income and received free trips all over the world. Learn how we have made money over the Internet (specific details, specific experiences, hard earned knowledge we have over the last 20 years!) With an inexpensive computer you can easily run a business from home and still have tons of time left over- even if you are computer challenged. Merri and I have certainly proven this. We were one of the first out there with a successful website and still rank high today even with millions of competitors. The secrets in the course include a step-by-step approach. Merri and I with our webmaster, David Cross, were leaders in beginning internet micros businesses and have sold millions over the web. You gain ways to earn global income over the net from that experience as well. At www.garyascott.com our daily emailed messages are sent to over 20,o00 readers every day. You learn the income producing power of defined focus and immediate repetition to get good search engine rankings and sales. Here is an example when I worked on the phrase “multicurrency investing”. This was a competitive phrase at Google with sites from US News, Toronto Dominion Bank, Citibank, HSBC Bank all huge competitors, but we to the date of this writing rank in the top three of organic rankings. You can earn successfully while living anywhere because people of all ages are doing this. Technology wiped out any disadvantages of age and gender. A USA Today article entitled “The new entrepreneurs: Americans over 50” explains that older business people often start one person ventures in home offices using technology that did not exist a few years ago. The article gave an example of Franny Martin who launched a cookie company at age 56 and quickly rose to a half million dollar income started her web site, which attracts cookie customers from around the world, with equipment that cost only $3,000. The course is arranged in an easy to understand style. Everything is explained in vivid detail. We share all, how we have done it ourselves. 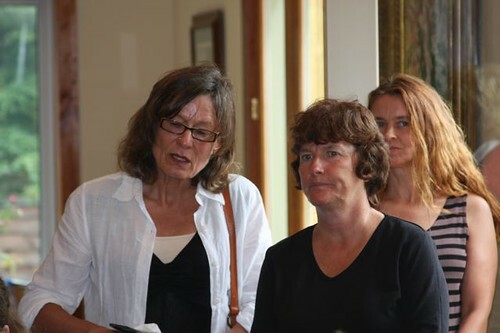 The course is full of business ideas and case studies based on our 42 years of experience. The course gives names, resources and addresses of contacts in marketing, printing, plus attorneys, accountants, Internet whiz kids who can give help. This is not theoretical. It describes on a step-by-step basis, how Merri and I built a multi-million dollar international micro business in just 7 years and how you can do the same. Learn How to Gain Total Security. Learn how and why the global economy makes employment riskier because change is no longer an option. See ways to become and agent of and profiteer from change never a victim of change. Learn How to Perfect a Lifestyle. Living as you choose is important because life is short. Fortunately matching what you love with what you do in business actually increases profits. Learn How to Choose the Best Legal Structure. How to use Non-Controlled Corporations. How to gain freedom, asset protection and privilege. Learn How to Market Your Publication. Learn truths that rule the market place. Gain knowledge on subjects like….How to Make the Truth Exciting. Create your own Sales Story. How to Deal With Cultural Differences. How to Build Global Lists and Use International PR. How to Spot the National Psyche and Quadruple Profits With Multimedia Marketing. How to Choose Businesses as Pioneers or as Settlers. Learn How to Obtain What You Need from the Net. How to Use the Web to Reach your Market. How to develop your site, target your market and start getting visits. The top ten Internet tips to use, the top ten traps to avoid, and many other lessons our Webmaster has used in his 20 years on the net. This system is so simple anyone can use it. Learn the Importance of Business Evolution. It is vital to success and fulfillment that your business has balance and grows in harmony. Self Fulfilled – How to be a Publisher contains all these secrets and more. This correspondence course is for those who would like their own international business for fun and profit. The course also helps business people, brokers and professionals, insurance agents and marketers who want to enhance their existing business or build a second source of income. Business people or professionals who want to add an extra profit center to their business or who want to change their business entirely will benefit. Those who want more control over their career can profit. Plus those who love global travel and want to turn their trips into profitable tax deductions! Even older entrepreneurs are taking advantage of technology. 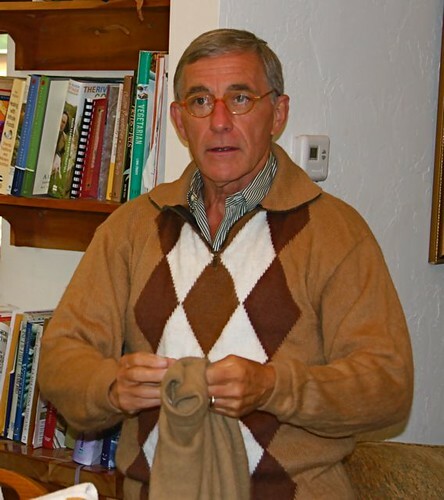 One of our friends and clients, Mickey E., a 72 year old real estate broker, began a small global business. With just a computer and internet, she created publications that attracted English real estate buyers. This allowed her to become a top sales person in the biggest real estate firm (selling over a billion dollars of real estate a year) in town. If you want fun, freedom, extra income and fulfillment with your own full or part time business that earns anywhere, or want to increase your existing business, you can profit by this course. This course is also for couples who want their own business or who want to have a business together or a family business. This is the perfect course for those who can no longer find employment, who are looking for ways to earn abroad and who wish to retire and supplement their income. There is nowhere else to gain such a unique network of information and help. The contacts are well worth more than the course alone. We have a successful international business with over 20,000 readers in 82 countries so you gain practical current business contacts that are active now. Are you interested in a global micro business? It can be small and part time mainly to gain prestige, fun and tax benefits. It can be full fledged and rake in thousands a day. The course is an absolute bargain. Our goal and guarantee is that you will be able to start and run your own global micro business. If you are not fully satisfied in any way, just tell us with 60 days and we’ll send you a 100% full refund with no questions asked. Whether you are retired, an investor, chiropractor, doctor, dentist, professional or already own your own business, this offers another way to make money, to turn your passion into profit. We guarantee that we have shared all we know to help you start and run your own international business. Enjoy and live a life of following your Passion to Profit… through a publishing business. Those who worked the hardest lived the longest — the responsible and successful achievers thrived in every way, especially when dedicated to things and people beyond themselves. So simple even my Mom can use it. 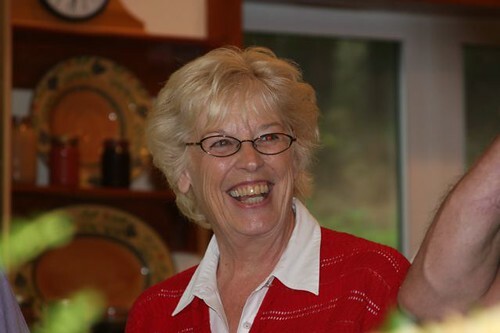 This course is designed to make the business of publishing so easy that even my Mom, when she was a retired 76 year old grandmother, could participate. (She learned how to turn her doll collecting hobby into a real publishing business which adds zest in her life and turns her hobby into a tax deductible expense.) Yet the program is so comprehensive even sophisticated business people will gain. Does that sound fair enough? There has never been a time when the opportunity for small businesses abroad has been so outstanding. Expand your borders now! Increase your economic security freedom, independence and success. Order now! To order Self Fulfilled – How to be a Publisher for $299. Click Here. Here is organic Micro Business Case Study #2. Yesterday’s message Organic Micro Business Opportunity looked at how to blend a great lifestyle with enhanced independence. That message looked at Micro Business Opportunity #1 and saw for example… how, if for any reason the internet does not work… I am out of business. Access to these supplies are beyond my control and probably yours as well. The message viewed the growing risks of a social economic systemic meltdown and looked at five organic investing and business trends that have a bright future. Based on this belief, I have been working with a team on a plan for our farm in North Carolina to create Draftwood homes built from local sustainable timber and fueled by micro hydro power. 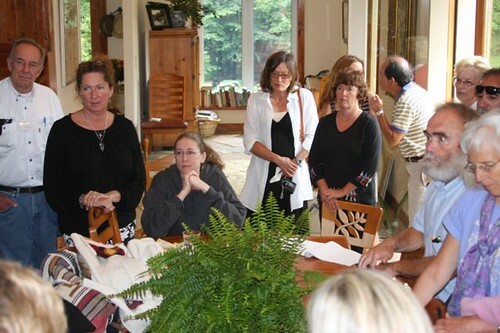 That team has been organized by Ian Snider… the local advocate of the Draftwood concept. 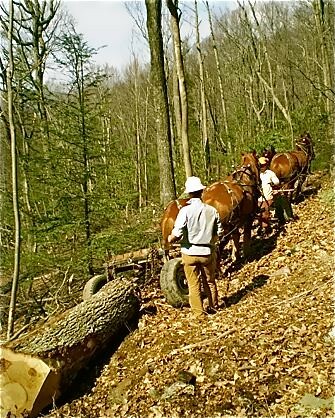 Draftwood… sustainable harvested, value added timber hauled out by draft horses. Here is Ian Snider at his latest project in North Carolina described below. Ian’s work also includes organic farming. 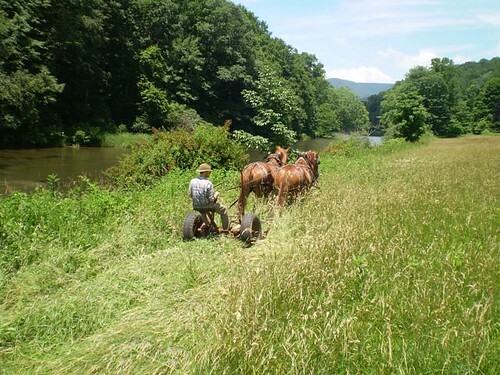 Here he is mowing hay near the old farm house where he and his wife live on the South Fork of the New River. Merri and I enjoyed buying their beautiful organic greens… horseradish and rhubarb jam at the West Jefferson Farmers Market. We believe that organic Smalltown USA is a bet on inflation and an investment on sustainability and alternative power plus on healthier, wealthier, more independent ways. Here is the plan we are working on that enhances the value added aspect of our business (#1 above). We have some great home sites on the farm with great locations for solar, hydro and wind power. Many of our meadows have southern views and are filled with morning and evening sun. Our home has a complete southern exposure and was built with 13 inch concrete filled, styrofoam insulated, heat retaining walls. The 12 large glass windows and doors let the sun pour in all day. Even when it is freezing outside you can nearly heat the house with a candle. Other sustainability assets include wind potential in places on the land that are high, sunny and exposed. Our vision for the farm is evolving like this…homes that can support themselves: …energy…food…and water…but connected to the world. 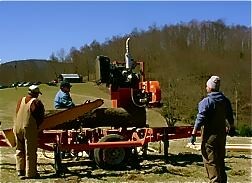 This allows one to work on an entirely integrated plan…harvesting and milling wood…to build houses and cabins that are off the grid with solar, wind and water power and with enough land to grow one’s own organic food. The qualities of the land are ideal for enacting enterprise centered around our The Future is Now investing points listed above. This plan is filled with value added potential. We can help our forest with sustainable logging. The wood can be used for the cabins. We can offer courses that teach people the logging, the milling, how to build the cabins. 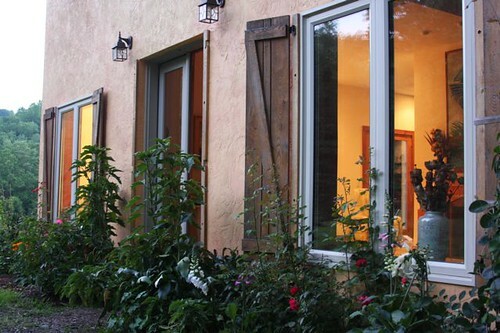 We can teach people how to save via off the grid living and even help them obtain off the grid equipment. Plus we gain off the grid homes for our retreat center. I expect this will make new avenues so our business can change and grow in the next five to ten years…just as Ecuador altered our life and business a previous decade ago. This process feels right to us. Ian and Mountain Works have launched the branch of the business they call Mountain Works Construction that builds green and in direct coordination with restorative forestry harvests. To Ian’s knowledge this combination of “design based on restoration” all under one roof is a first anywhere. 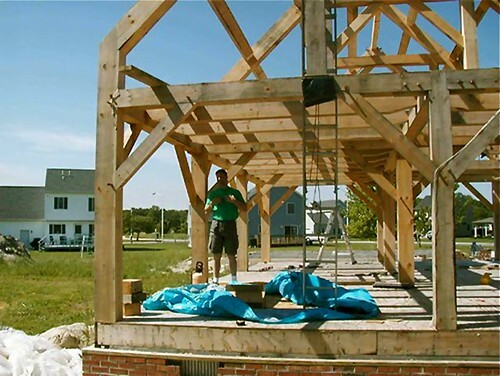 Their current construction project is for the Sorrel family in Fleetwood where they are restoring their 12 acres of forest and yielding a beautiful white pine timber frame addition (shown above) for them in the process. are sawn on site with a portable band saw run by Mike Shenton. The hardwood will be taken to the local circle mill run by Bret Winebarger (two miles from the building site) and will be used in the custom crafted interior. 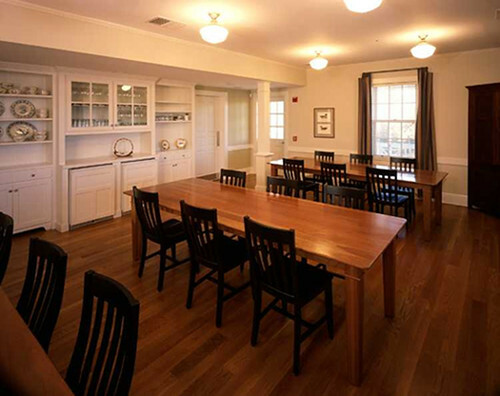 Here is a draftwood dining room. 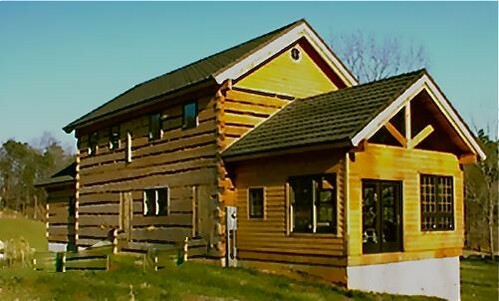 High performance windows, passive solar design, rain water collection, SIP panels, site reclaimed lumber and solar hot water provided by our good friends at Blue Ridge Energy Works are just a few ear marks of a Mountain Works build. The signs of a good business are turning a passion into a profit with a holistic business that services the community now and into the future. Sustainable timber that helps create an independent life certainly fits that description. 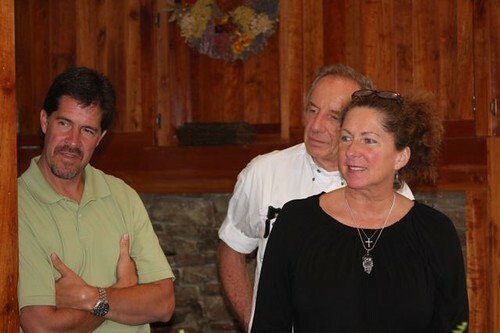 PS- I have invited Ian Snider to join us at our June 24 to 27 Quantum Wealth course in North Carolina. He’ll be able to share his ideas on a sustainable organic micro business with you. In addition I have asked Ian and his wife to perform at the Saturday night wine tasting at New River Winery (see the winery below). Ian plays the five string banjo in the old claw-hammer style and sings a twangy baritone enjoying his role as a balladeer in the many music circles of which he is involved. He will be joined by his wife, Kelly Sheets Snider. She has carried on the family tradition of mountain music as she built on a life-long foundation of old time music and dance. 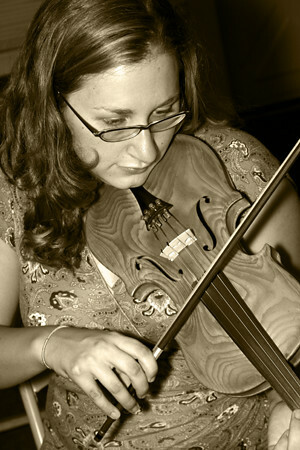 Both a fiddler and excellent harmony singer she leads and takes part in various musical groups comprised of friends and family. Kelly and Ian play music together and Kelly plays with her mother and father in The Sheets Family Band. Check out Ian and Kelly’s mom DJ Sheets playing with Dirk Powell, Riley Baugus, and David Holt on YouTube. Here’s Kelly and her Mom DJ Sheets singing Southern Girl’s Reply at Laurel Bloomery, Tenn.
See Ian Snider’s website here. Join Merri and me all year along for courses and seminars on how to be smarter in investing and business. On Saturday evening we drive to Lansing and look at how small businesses can grow in Smalltown USA. We’ll visited the New River Winery for a wine tasting. The winery is housed in another old WPA building which originally was the Lansing school. On Sunday we finish the seminar and then those who have time visit our farm. Delegates are invited up to the house for afternoon tea. We’ll have a review of Ecuador export products. Like this these baby alpaca sweaters. 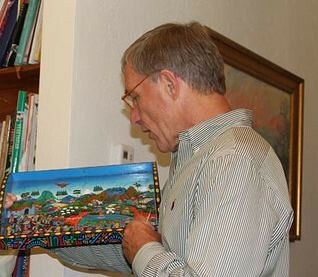 Here is some Ecuador art we showed at the last seminar that evolved from drum making. Here is a huge risk that could explode in 2019. I hope I am wrong… but the numbers are clear. According to Treasurydirect.com, (1) as of December 27, 2018 the cost of interest on the total US public debt of $21,845,329,154,412.01. Tht’s 23 trillion and 845 billion dollars. This is not a theoretical problem for the future. This is not something that our children and grandchildren will have to deal with. This is a problem in the here and now for you and me. Rising interest rates create a massive problem for every American. The good news is I sent a note like this last year ad I was wrong. Last year when I sent that note the debt was $20,467,375,664,755.32 (20 trillion+). The debt has increased almost 1.4 trillion dollars in 2018. This is good news and bad… the rock and the hard spot. The bad news is that the rock (US federal debt) is getting bigger….harder to miss. The Congressional Budget Office (CBO) projected in 2010 (the debt then was a bit over 14 trillion then) that, under law at that time, debt held by the public would exceed $16 trillion by 2020, reaching nearly 70 percent of GDP. They sure goofed on that. Here we are… only in 2019 and debt has shot past 21 trillion. How could the CBO be so wrong? The CBO screwed up because they could never imagine that the Fed would push interest rates so low… and keep them there. The interest rates are so low that the government has been able to borrow more than imagined and still afford the interest. For example, US Federal government interest last year amounted to around $483 billion on the 20 trillion of debt. Yet in 2008 on debt of only $9,229,172,659,218.31 (9 trillion +) the interest that year was $451,154,049,950.63 (451 billion +). Interest payments in 2017 were 7% higher than they were in 2008. Yet the debt is over 100% higher. Very low interest rates have helped the government borrow. Low interest has also helped the US stocks reach all time high prices. Now US dollar interest rates are rising. In 2018 the interest costs were 8.2% higher than in 2017. Yet the debt increase was only 6.7%. The government will resist raising rates because it will ruin their budget, cause a collapse of the stock markets and destroy the US dollar. Here is the very hard spot. Rising interest rates, will create an almost unimaginable debt crisis. If government interest goes to 6% it is like the $20+ trillion national debt rising to 40 trillion! Unless there are some huge tax increase the interest payments are not sustainable. A tax increase? Last year’s tax act reduced, not increased, revenue. Learn how to have more freedom and time, less stress, better health care, extra income, greater safety and profit in your savings despite America’s deficits, debt and currency risk. Fortunately there are secrets that will allow a few to live much better, free of debt and worry despite the decline in the dollar’s purchasing power. My wife, Merri and I, have traveled, lived, worked and invested around the world for nearly 50 years to gain this information. Let me share the basics of this data and how we can be of help through 2018. The first fact behind this secret is that things are really good in the western world. Despite many problems, we are surrounded by more abundance and greater opportunity than almost anyone has ever enjoyed, anywhere, ever. To enjoy a fair share of this wealth, all we have to do is understand human nature and learn how to invest in the new economy, as it changes and becomes new, again and again. Merri and I have made seven huge transitions in the 50 years. Each has allowed us to always stay ahead of losses that the majority of Americans suffer. We are in another transition right now and want to share why and what to do so you can stay ahead and live a richer, independent life through 2019 and beyond. A falling US dollar is one of the greatest risks we have to our independence, safety, health, and wealth, but also brings a window of huge profit as I explain below. Though the greenback has been strong for a number of years, its strength is in serious jeopardy. The growing federal deficits increase the national debt and this with rising interest rates propels a growing debt service. While the Dow Jones Industrial Average passed 25,000, the U.S. national debt passed the $20 trillion mark. The problem is that the Dow will come back down. National debt will not fall. The double shock of money fleeing Wall Street and US debt skyrocketing, will destroy the purchasing power of the greenback. Go to the store even now. Statistics say inflation is low, but buy some bread or, heaven forbid, some fresh vegetables like peppers or fruit. Look at the cost of your prescription or hospital bills. Do something simple like have your car serviced at an auto dealer. Look at the dollars you spend and you’ll see what I mean. The loss of the dollar’s purchasing power erodes our independence, our freedom and our savings and wealth as well. At the same time, low interest rates by big banks and higher health care costs soak up the ever diminishing income and savings we have left. According to a Gallup poll, the most unpopular three institutions in America are big corporations & Wall Street banks, HMOs and Congress. Yet there is little we can do because these institutions are in control. Over the last 50 years the average income for 90 percent of the American population fell. Our health system is restricted by a Kafka-esque maze of legislation and insurance regulations that delay, frustrate, and thwart attempts by patients and doctors from proper medical care. Big banks and corporations restrict our freedom of choice. The business customer relationships are no longer transactions between free equals. Banks can trap us in indebtedness at every age from student loans to mortgages to health care costs. They pay almost nothing on our savings. They hide unexpected fees and payments in complex and unreadable documents. Banks and big corporations routinely conceal vital information in small print and then cheat. Weak regulations and lax enforcement leave consumers with few ways to fight back. Many of these businesses ranging from cable TV to phone and internet service to health insurance have virtual monopolies that along with deceptive marketing destroys any form of free market. These same companies control the credit-scoring agencies so if we don’t pay unfair fees, our credit scores will plunge and we could lose the ability to borrow money, rent an apartment, even to get a job. Many consumers are forced to accept “arbitration clauses” in lieu of legal rights. The alternative is to lose banking, power, and communication services. The glow on Western democratic capitalism has dimmed… or so it seems. The US, leading the way, is still a superpower with economic, innovation and military might, but the institutions that should serve the people have become flawed or broken. America’s infrastructure is in shambles. The nation’s bridges are crumbling, many water systems are filled with toxins, yet instead of spending more to fix this, we build more prisons. The 2.2 million people currently in jail is a 500 percent increase over the past thirty years. 60% of the inmates belong to ethnic groups. Not just non-white ethnic groups are suffering. Annual death rates are falling for every group except for middle-aged white Americans. Death rates are rising among this group driven by an epidemic of suicides and afflictions stemming from substance abuse, alcoholic liver disease and overdoses of heroin and prescription opioids. America’s middle class is shrinking. Nearly half of America’s income goes to upper-income households now. In 1970 only 29 percent went to this group. How can we regain our freedom, our happiness and our well being in such a world? Gain a better, freer life is to combine better health, higher income and greater savings for a happier, more resilient lifestyle. #1: Global micro business income. #2: Low cost, natural health. Many readers use our services for just one of these three benefits. They focus only on health or on earning more or on better, easier investing. 28 years ago Merri and I created the International Club as a way for readers to join us and be immersed in all three of these benefits. The International Club is a year long learning program aimed at helping members earn worry free income, have better affordable good health and gain extra safety and profits with value investments. Join us for all of 2019 NOW. The three disciplines, earning, health and investing, work best when coordinated together. Regretfully the attacks on our freedom are realities of life. There is little we can do to change this big picture. However we can change how we care for our health, how we earn and how we save so that we are among the few who live better despite the dollar’s fall. We start with better lower cost health care. Club membership begins by sharing ways to be free of the “Secret Hospital Charge Master”. Just as governments hide truth behind “National Security”, big health care businesses hide medical truths behind “Charge masters”. Most hospital charge masters are secret because big business does not want us to know how much hospital costs have risen. Motivations beyond our good health, like corporate greed, want to keep us in the dark about health care cost. Despite rising health care costs, a report from the Centers for Disease Control & Prevention shows that hospitals are the last place we want to be for good health. One report shows that hospital-acquired infections alone kills 57% more Americans every year than all car accidents and falls put together. Often, what patients catch in the hospital can be worse than what sent them there. Governments and health care agencies agree – antibiotic resistance is a “nightmare.” An antibiotic-resistant bacteria may be spreading in more hospitals than patients know. About one in every 25 hospitalized patients gets an infection and a report from the Journal of Patient Safety showed that medical errors are the third-leading cause of death in the country. Along with the risk of hospital acquired illness and medical errors, the second huge threat to our well being… is health care costs, especially at hospitals. This is why charge masters are so often secret. There are few risks to our wealth that are greater than a hospital stay. Each report is available for $19.95. However you’ll receive this free as club member and save $59.85. This program is offered at $299, but is available to you as a club member free. You save $299 more. Next, club members participate in an intensive program called the Purposeful investing Course (Pi). The purpose of Pi is finding value investments that increase safety and profit. Learn Slow, Worry Free, Good Value Investing. Stress, worry and fear are three of an investor’s worst enemies. These destroyers of wealth can create a Behavior Gap, that causes investors to underperform in any market good or bad. The behavior gap is created by natural human responses to fear. Pi helps create profitable strategies that avoid losses from this gap. Lessons from Pi are based on the creation and management of a Primary Pi Model Portfolio, called the Pifolio. There are no secrets about this portfolio except that it ignores the stories from economic news (often created by someone with vested interests) and is based mainly on good math that reveals the truth through financial news. The Pifolio is a theoretical portfolio of MSCI Country Benchmark Index ETFs that cover all the good value markets using my 50 years of global experience and my study of the analysis of four mathematical investing geniuses (and friends). There are seven layers of tactics in the Pi strategy. Pi Tactic #1: Determine purpose and good value. Pi Tactic #2: Diversify 70% to 80% of portfolio equally in good value developed markets. Pi Tactic #3: Invest 20% to 30% equally in good value emerging markets. 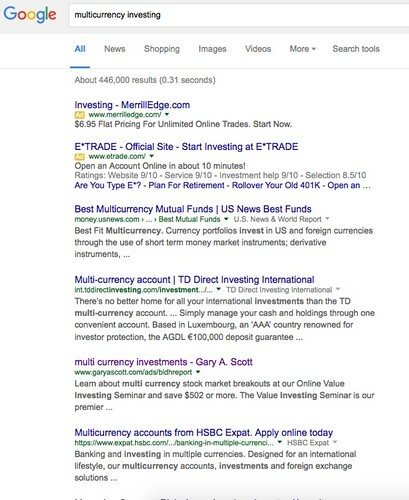 Pi Tactic #4: Use trending algorithms to buy sell or hold these markets. Pi Tactic #5: Add spice speculating with ideal conditions. Pi Tactic #6: Add spice speculating with leverage. Pi Tactic #7: Add spice speculating with forex potential. We combine the research of several brilliant mathematicians and money managers with my years of investing experience. This is a complete and continual study of what to do about the movement of international major and emerging stock markets. I want to share this study throughout the next year with you. This analysis forms the basis of a Good Value Stock Market Strategy. The analysis is rational, mathematical and does not worry about short term ups and downs. This strategy is easy for anyone to follow and use. Pi reveals the best value markets and provides contacts to managers and analysts and Country Index ETFs so almost anyone can create and follow their own strategy. The costs are low and this type of ETF is one of the hardest for institutions to cheat. Expense ratios for most ETFs are lower than those of the average mutual fund. Little knowledge, time, management or guesswork are required. The investment is simply a diversified portfolio of good value indices. Investments in an index are like investments in all the shares of a good value market. Pi opens insights to numerous long term cycles that most investors miss because they have not been investing long enough to see them. The Pi subscription is normally $99 per annum but as a club member you receive Pi at no charge and save an additional $99. Profit from the US dollar’s fall. Club members receive a report about opportunity in the current strength of the US dollar is a second remarkable similarity to 30 years ago. The dollar rose along with Wall Street. Profits came quickly over three years. Then the dollar dropped like a stone, by 51% in just two years. A repeat of this pattern is growing and could create up to 50% extra profit if we start using strong dollars to accumulate good value stock market ETFs in other currencies. This is the most exciting opportunity I have seen since we started sending our reports on international investing ideas more than three decades ago. The trends are so clear that I created a short, but powerful report “Three Currency Patterns for 50% Profits or More.” This report shows how to earn an extra 50% from currency shifts with even small investments. I kept the report short and simple, but included links to 153 pages of Good Value Stock Market research and Asset Allocation Analysis. This report sells for $29.95 but when you become a club member you receive the report, “Three Currency Patterns For 50% Profits or More” FREE. Plus get the $39.99 report, “The Platinum Dip 2019” free. With investors watching global stock markets bounce up and down, many missed two really important profit generating events. The price of silver dipped below $14 an ounce as did shares of the iShares Silver ETF (SLV). The second event is that the silver gold ratio hit 80 and has remained near this level, compared to a range of the 230s only two years ago. Now there is a new distortion ready to ripen in the year ahead. These two events are a strong sign to invest in precious metals. I prepared a special report “Platinum Dip 2019”. The report explains the exact conditions you need to make leveraged precious metal speculations that can increase the returns in a safe portfolio by as much as eight times. The purpose of the report is to share long term lessons about speculating in precious metals gained through 30 years of speculating and investing in gold and silver. The low price of silver offers special value now so I want to send you this report because the “Platinum Dip 2018” offers enormous profit potential in 2018. The report “Platinum Dip 2019” sells for $39.95 but club members receive it free as well. The $39.95 new “Live Anywhere – Earn Everywhere Report” is also free. There is an incredible new economy that’s opening for those who know what to do. There are great new opportunities and many of them offer enormous income potential but also work well in disaster scenarios. There are are specific places where you can reduce your living expenses and easily increase your income. 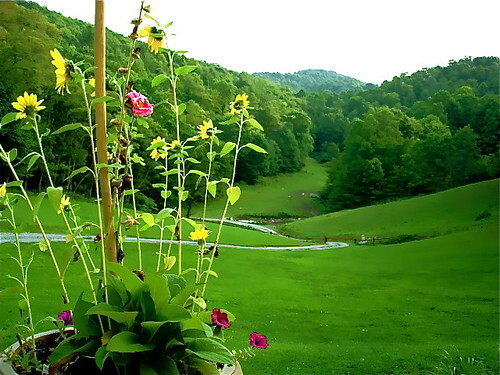 Scientific research has shown that being in such places actually make you smarter and healthier. Top this off with the fact that they provide tax benefits as well and you have to ask, “Where are these places?”. Learn about these specific places. More important learn what makes them special. Discover seven freedom producing steps that you can use to find other similar places of opportunity. The report is very specific because it describes what Merri and I, our children and even my sister and thousands of our readers have done and are doing, right now. Live Anywhere – Earn Everywhere focuses on a system that takes advantage of living in Smalltown USA, but earning locally and globally. This report is available online for $39.99 but International Club members receive it free. Save $418.78… “plus more” when you become a club member. #1: The $99 Personal investing Course (Pi). Free. #2: The $299 “Live Well and Free Anywhere Program”. Free. #3: The $29.95 report “Three Currency Patterns For 50% Profits or More”. Free. #5: The three $19.99 reports “Shamanic Natural Health”. All three free. #6: The $39.99 “Live Anywhere – Earn Everywhere” report. Free. #7: A year’s follow up subscription to the Purposeful investing course… Plus more. These reports, courses and programs would cost $527.92 so the 2018 membership saves $117.92. Join the International Club for $349 and receive all the above online now, plus all reports, course updates and Pi lessons 2019 at no additional fee.